Generic Snake Clone is now around about 30% of what I'd like. Most of yesterday was spent, once again, battling with my own scaling code. I've added a small border around the edge of the screen, around about 2 blocks wide, on all sides. This allows for better score display and other such content around the edge. The game figures out how many blocks will fit within that area, and scales everything appropriately. Unfortunately, that resulted in a terrible number of issues on the 3DS side of things. The scaling was completely off, as it was trying to use 32x32 tiles, instead of 16x16, so that had to be tweaked to start with. 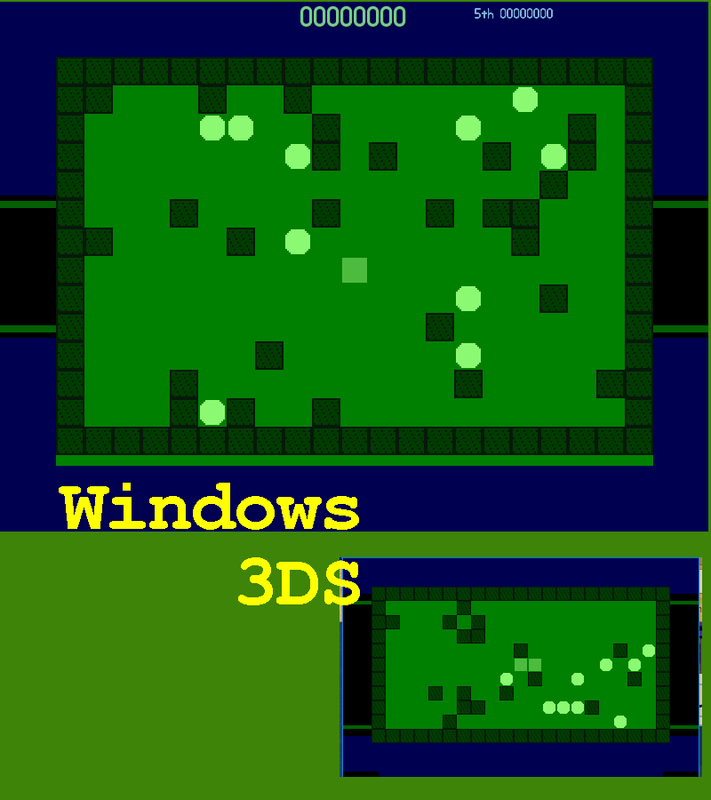 Then when the game tried to draw the green underlying rectangle for the arena, that ended up scaling too small due to my previous work trying to get primitives to scale "better"..
After all the tweaking and fixing, the two versions now look as they do in the image above. I might further tweak the border on the 3DS version, though, to give a teensy bit more gameplay area, but otherwise the two are similar enough to be enjoyable.